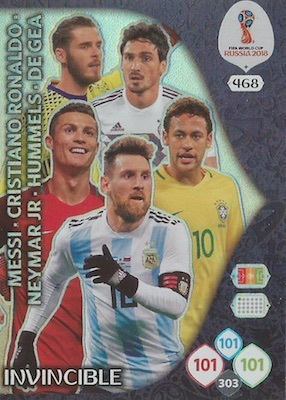 Taking some of the appeal of the storied World Cup sticker set, and adding in a trading card game aspect, 2018 Panini Adrenalyn XL World Cup Russia brings the tournament to collectors with an interactive collectible set. Like those iconic World Cup stickers, the 2018 Panini Adrenalyn XL World Cup Russia checklist covers all 32 teams competing in the 2018 event. The 468-card set offers 360 base cards and several subsets of varying rarity. This includes Fan Favorites (40 cards at1:2 packs). The Russian version has Limited Edition cards. 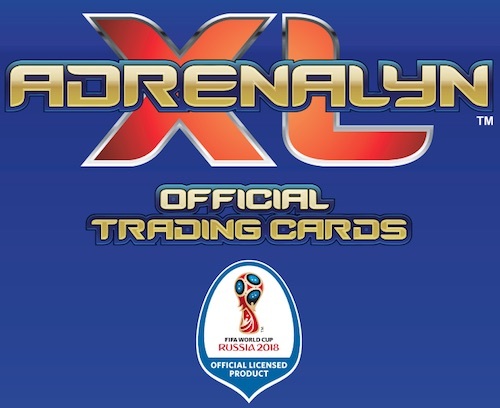 Also similar to the World Cup stickers, 2018 Panini Adrenalyn XL World Cup Russia has an earlier Road to 2018 World Cup Russia Adrenalyn XL edition, which documents the competition that eventually resulted in the final field of 32 teams. Occurring from June 14 to July 15, 2018, the full details for World Cup Russia 2018 can be viewed at the official FIFA World Cup website. 468 cards. Shop singles on eBay. They are in dollars and outrageously expensive. They arrived all torn up and when I tried to contact them, I got no reply. Terrible product.